It is fascinating to read about philosophies, about guiding principles and often I have imagined following some of them for a shorter period. Like an experiment I would obey these rules which derive out of the philosophy and my life would instantly change (to the better) for example: eating like the Pythagorean or acting after von Glasersfeld assumption that a human mind can not perceive reality. Never did it occur to me that I could apply philosophy to knitting (and to be honest never did I apply anything outside the worlds of my own mind). 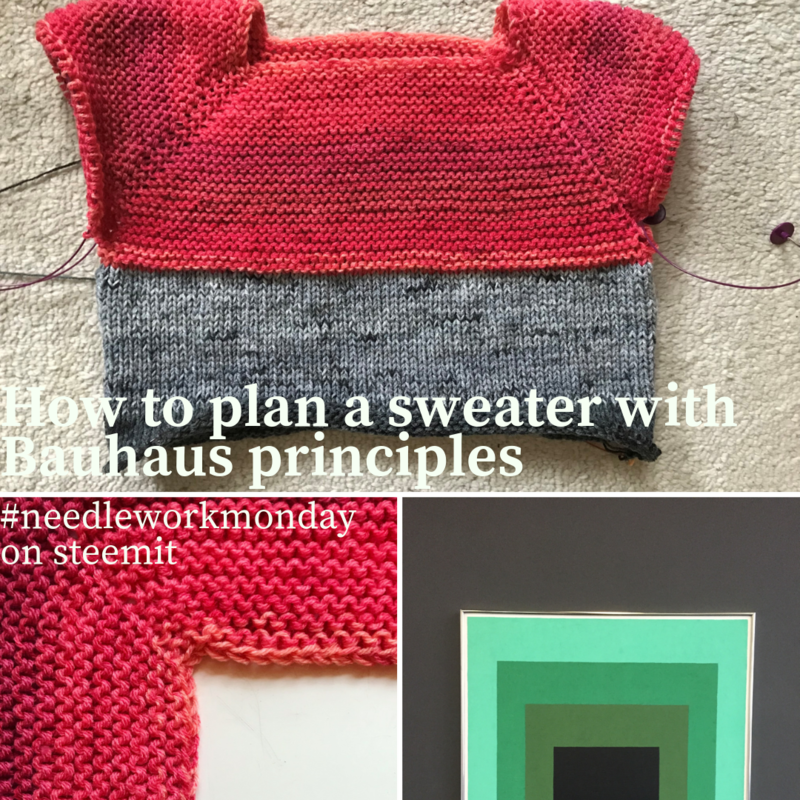 But now is the time – I will knit a Bauhaus sweater. 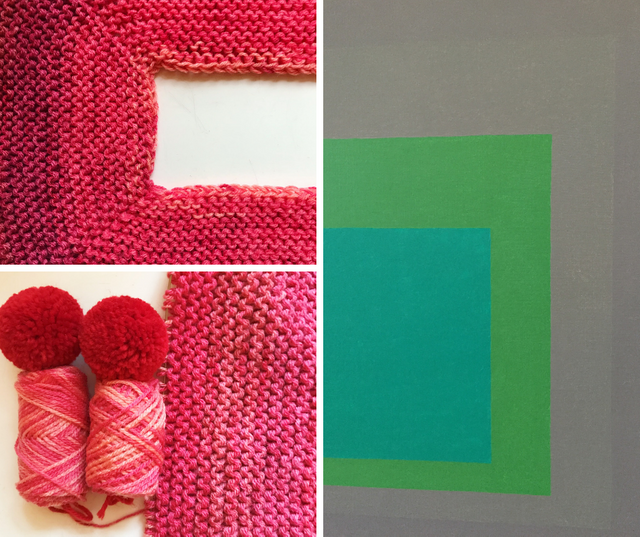 Applying the rules of Bauhaus onto knitting could mean different approaches. One method is to go into your sleeping room and look through your huge stash look through your one box full of artfully selected yarn. Choose a yarn and let this material dictate the form of the garment. Here fore make a swatch and then perceive this fabric. Lay it flat on a smooth table and then whirl it around with one finger. If the swatch ripples and does not move in one, the fabric will be very drapy. On the other hand, if it glides over the surface in one, then the fabric will be stiffer when knitted in bigger proportions. Stroke your swatch (but omit manic laughing while petting the fabric, it could lead to problematic assumption about your health). 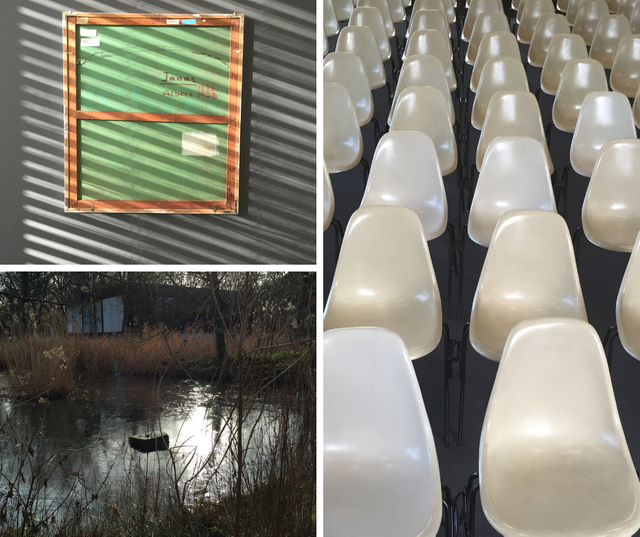 Is it soft and fluffy or scratchy or smooth and cool? All these qualities will dictate the later garment. For example, a scratchy and stiff fabric will behave better in a thick cardigan worn over many layers of clothes, whereas a soft, cool and smooth knitting will make a wonderful summer top which can be worn directly on the skin. There are many more qualities of the yarn to be observed, but I think the method of ‘the material dictates the form’ is understandable. Should harmonize with wide legged trousers. With this qualities (functions) in mind you choose the yarn, knitting pattern and the fit of the sweater. For me this led to a mildly cropped, top down sweater which I knit in washable acrylic yarn in two contrasting colours. The overall fit will be oversized and because of the bulkiness and because I will make a turtle neck, the whole sweater will be warm and cosy. But as you all got to know me a bit better, you already guessed, that all the fabulizing about principles and planning behind my knitting is just a tale. Sorry. In reality I found this stripy yarn in a bargain shop, could not resist to buy it. 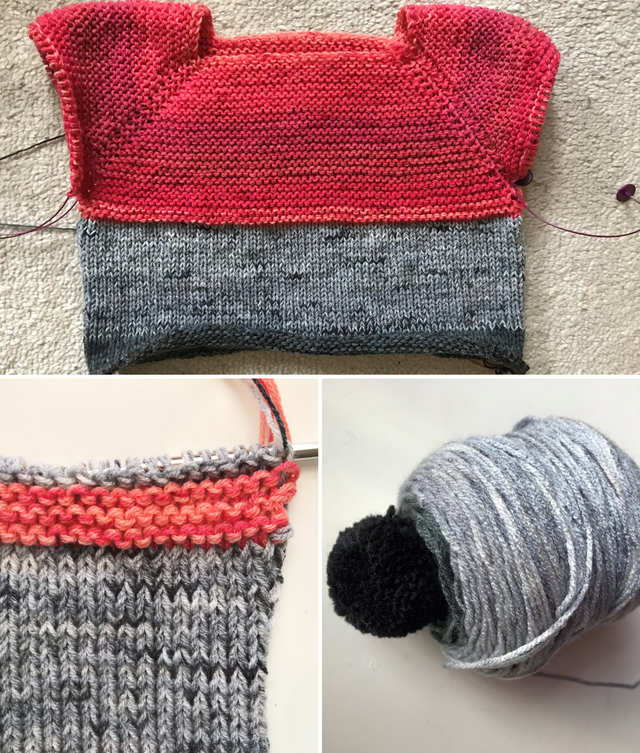 I could not get enough of one colour to make a whole sweater, so I bought the red and the grey variety of yarn cake and hoped for the best. I made a swatch with the yarn held double as I did not want a sweater with stripes, but with softer colour transitions. If you want to read more about this sweater’s construction go to my last post on steemit.